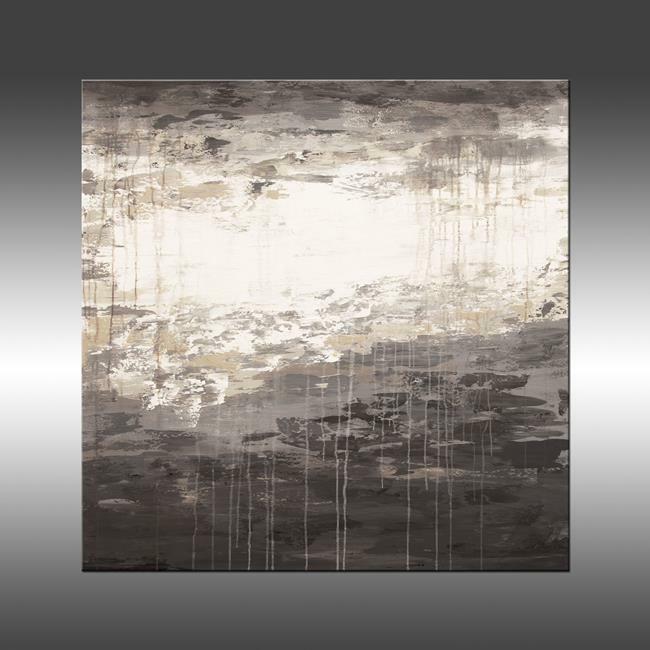 Lithosphere 160 is an original, modern art painting from the Lithosphere series. This one-of-a-kind painting was created with acrylic paint on gallery-wrapped Genie collapsible canvas. This large painting has a width of 48 inches and a height of 48 inches with a depth of 1.75 inch (48x48x1.75). The painting continues onto the edges of the canvas, creating a finished look so the canvas does not require a frame. The colors used in the painting are white, taupe, and gray. An archival, UV resistant, gloss varnish has been applied to protect the surface of the painting and a certificate of authenticity will be included. The painting will be signed and dated on the back and signed on the front, unless otherwise requested. If you have a specific preference about the signature placement, feel free to contact me. Every customer who has ordered a painting on a Genie Canvas from me has reported that it is incredibly easy to assemble and that the painting and canvas look fabulous. Genie Canvas takes the great cost out of shipping large, gallery-wrapped canvas because instead of shipping via freight, these canvases are rolled and shipped in a professional quality shipping tube. Once the painting has been reassembled, you can apply the heavy-duty hanging wire that comes with it. Feel free to contact me with any questions you may have. Additional images are always available as well. Thank you!